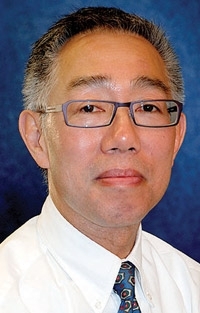 COOPER-STANDARD AUTOMOTIVE -- Glenn Dong, 55, to vice president and treasurer. He had been vice president and treasurer at International Automotive Components Group North America. Dong's global duties include cash management, debt funding and risk management. Cooper-Standard, of Novi, Mich., supplies body-sealing, fluid-handling, and noise, vibration and harshness control systems. DENSO CORP. -- Atsuhiko Shimmura to executive vice president of Denso International America, the supplier's North American headquarters in suburban Detroit. He succeeds Hiroshi Kitahara, who is working as an executive adviser at Denso International America until he returns to Japan on a new assignment. Shimmura had been president of Denso Manufacturing Tennessee. The new president in Maryville, Tenn., is Yoshihiro Saka, who had been president of Denso Mexico since 2005. Saka continues in his other role, executive vice president of North American manufacturing. 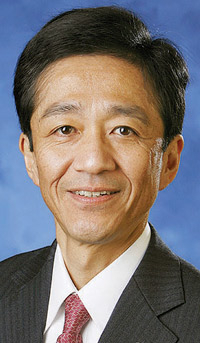 Osamu Katsuno has succeeded Saka as president in Apodaca, Mexico. He was general manager of body electronic parts making at Denso's Takatana plant in Anjo, Japan. Denso Corp. makes thermal, powertrain control and electronic and electric systems. NGK SPARK PLUGS (USA) -- Robert Pepper, 58, to vice president of manufacturing. He had been director of manufacturing administration. In his new post, Pepper is responsible for all North American manufacturing and distribution. NGK Spark Plugs (USA), of Wixom, Mich., supplies spark plugs and oxygen sensors. It is a unit of NGK Spark Plug Co. Ltd. of Japan.